No event has spawned more conspiracy theories than the assassination of President John F. Kennedy, as many people do not believe that his killer, Lee Harvey Oswald, acted alone. However, many political assassinations which remain unsolved to this day are surrounded by unanswered questions. Even in cases where the alleged assassin was identified, there can still be suspicious elements which make one question the official story. Shortly after midnight on June 5, 1968, Robert F. Kennedy left through the kitchen of the Ambassador Hotel in Los Angeles after celebrating his victory in California’s Democratic presidential primary. However, Kennedy’s aspirations of becoming president were shattered when he was shot to death by an assassin named Sirhan Sirhan, who received a life sentence for the crime. 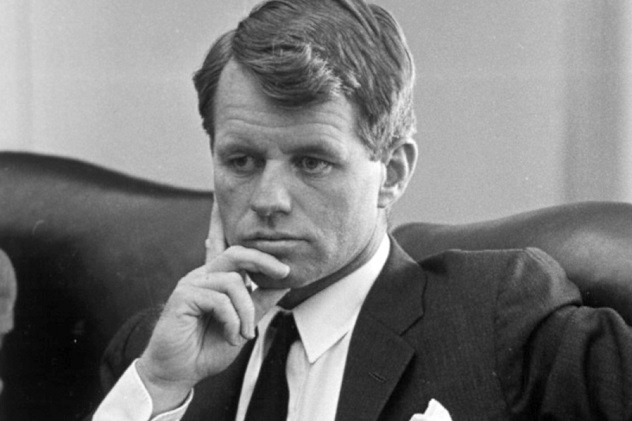 Much like his brother’s assassination five years earlier, Robert F. Kennedy’s death is surrounded by conspiracy theories and allegations that more than one shooter was involved. Some of the answers may lie in the photographs taken by a teenager named Jamie Scott Enyart. The 15-year-old Enyart was covering Kennedy’s victory speech for his high school newspaper and had the amazing luck to be in the kitchen when Kennedy was killed. Not about to let this opportunity pass him by, he took several photos. Shortly afterward, Enyart was detained by police, who confiscated the three rolls of film from his camera and said that his photos of the assassination would be used as evidence. After Sirhan’s conviction, Enyart was informed that the case files and all evidence would remain sealed for 20 years. In 1988, Enyart finally requested the return of his photos but was told that they had been lost. In response, Enyart decided to file a lawsuit, but the police eventually recovered the original negatives after claiming they had been misfiled. In 1996, a private courier was hired to deliver these negatives to Enyart but suffered a flat tire on the way. The courier had seen a man exiting a vehicle behind him while he was stopped at a traffic light and believes he may have slashed the tire. The car was soon burglarized, and all the negatives were stolen. The photographs have never been recovered, and many believe they contained shocking revelations about Kennedy’s assassination. During the early 1990s, Rwanda was in a state of civil war between the Hutu-controlled government and the Rwandan Patriotic Front, a rebel group mostly comprised of Tutsis. In August 1993, the group finally signed a peace accord with President Juvenal Habyarimana. 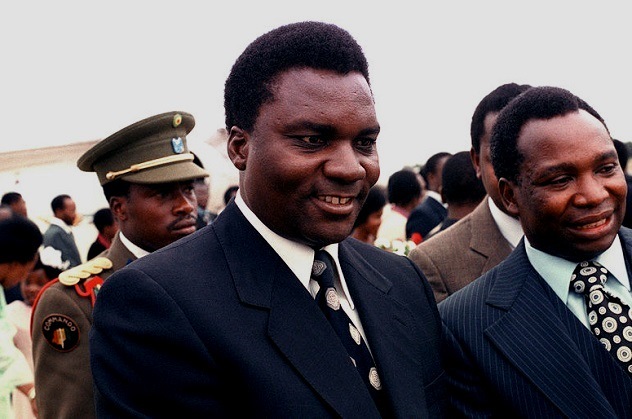 On April 16, 1994, Habyarimana’s presidential plane took off from Dar es Salaam International Airport in Tanzania. Habyarimana was accompanied by several of his ministers and the president of Burundi, Cyprien Ntaryamira. The plane was getting ready to touch down at Kigali International Airport when a pair of surface-to-air missiles struck the aircraft, which burst into flames and crashed, killing everyone onboard. This assassination would be the launching pad for what would become known as the Rwandan Genocide. Habyarimana’s death motivated Hutu forces to murder hundreds of thousands of Tutsi Rwandans over the next several months. In the ensuing years, the identities of those responsible for shooting down the presidential plane have been heavily debated. It’s been suspected that the attack was orchestrated by Hutu extremists, who exploited their president’s death to carry out the wholesale slaughter of the Tutsi. However, suspicion also fell upon the Rwandan Patriotic Front and their leader, Paul Kagame. Some theorized that Kagame carried out the attack because he wanted to become president. In 2012, an investigation determined that it was unlikely that the missiles could have been fired by Tutsi rebels. It was found probable that they originated from a military camp controlled by Hutu forces. Nevertheless, the assassination remains unsolved. In the history of the United States, only one state governor has ever been assassinated while in office. Democrat William Goebel had been elected governor of Kentucky in 1896 and ran against Republican candidate William S. Taylor four years later. Taylor won the election by a narrow margin, but there would soon be accusations of fraudulent voting. Goebel contested the result and demanded a recount. 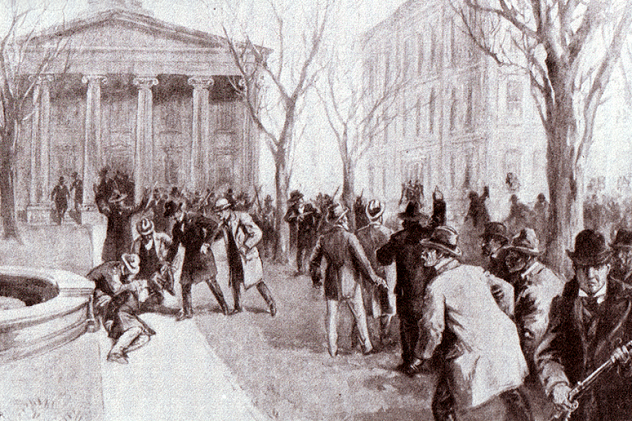 On the morning of January 30, 1900, Goebel was walking toward the Old State Capitol in Frankfort when a shot was fired from a nearby building. The bullet struck Goebel in the chest, seriously wounding him. The day after the shooting, the recount was completed. After a number of Republican votes were rendered invalid, Goebel won the election. As he lay dying, the mortally wounded Goebel was officially sworn in as governor, but he passed away on February 3. Lieutenant Governor J.C.W. Beckham took Goebel’s place in office, and the Republicans were unable to get the election reversal overturned. William S. Taylor and 15 other people were indicted for their alleged roles in Goebel’s murder. It was believed that Taylor’s secretary of state, Caleb Powers, was the mastermind behind the assassination and that he’d hired a man named James Howard to fire the fatal shot. The case dragged through the courts for years, but only five of the accused men ever went on trial, two of whom were acquitted. Everyone involved—including Taylor, Powers, and Howard—eventually received full pardons due to flimsy evidence and always maintained their innocence. It has never been conclusively determined who was responsible for the assassination of William Goebel. During the 1950s and ’60s, Leon Jordan was a noted civil rights leader and one of the most influential black politicians in the United States. 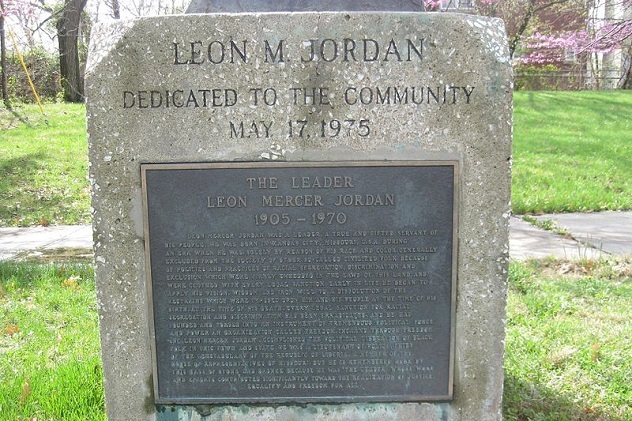 Jordan co-founded Freedom, Inc., the first African-American political organization in his hometown of Kansas City, Missouri. On July 15, 1970, the 65-year-old Jordan was only three weeks away from the Democratic primary, seeking reelection into the Missouri General Assembly. Shortly after 1:00 AM, Jordan was exiting a tavern he owned when he was assassinated with three shotgun blasts. Witnesses reported that they saw three black men driving away from the scene. The assailants abandoned their vehicle, and the murder weapon—a Remington 12-gauge Wingmaster shotgun—was found in a nearby field. Two separate attempts were made to charge multiple suspects with Jordan’s murder, but one of the suspects was acquitted at trial, and the others had the charges against them dropped. The case remained cold for decades before it was rejuvenated in 2010. When The Kansas City Star began an investigation on the 40th anniversary of Jordan’s assassination, they uncovered some surprising information after inquiring about the murder weapon. Apparently, sometime during the mid-1970s, the shotgun somehow disappeared from the evidence room. It was possibly sold off in a police auction. Remarkably, this same weapon was later unknowingly bought back by police from a gun shop. The shotgun was even used in a police shooting in 1997, but no one realized it was the Jordan murder weapon until The Kansas City Star inquired about it. The gun was finally found in the trunk of a patrol car. The recovery of the shotgun, along with the discovery of a partial fingerprint on the weapon, has prompted police to reopen the investigation into Jordan’s murder. One of the most famous unsolved mysteries in the history of Kenya involves Robert Ouko, who was serving as the country’s minister of foreign affairs under President Daniel arap Moi in 1990. On February 13, Ouko mysteriously disappeared from his residence in the village of Koru. During the early morning hours, Ouko’s maid was awakened by a loud noise and noticed a white car driving away. Ouko was nowhere to be found, and three days later, his badly charred remains were found 6 kilometers (3.7 mi) away. His right leg was broken, his body was severely burned, and he had been killed by a gunshot to the head. Because a gun, blowtorch, and gas can were found at the scene next to his remains, speculation initially pointed to suicide. John Troon, a chief inspector from Scotland Yard, was brought in to investigate Ouko’s death and reportedly faced pressure from government officials to treat it as unsuspicious. Ouko’s brother would also claim that President Moi offered him a parliamentary seat in exchange for publicly supporting the suicide ruling. Troon eventually published a controversial report alleging that Ouko was murdered as part of a government conspiracy. 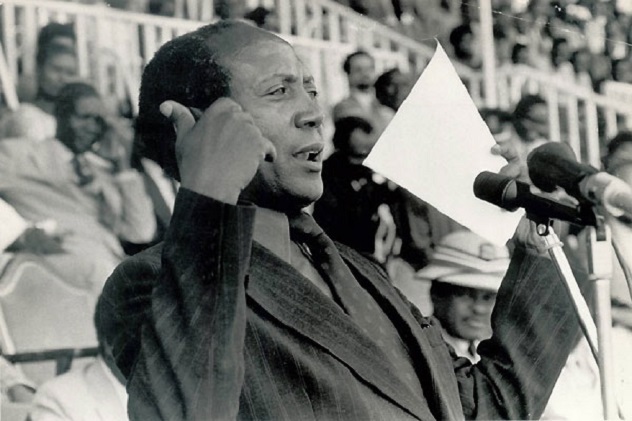 At the time of his death, Ouko was gaining a lot of support, and there was a genuine fear that he could eventually ascend to the presidency and expose government corruption. It’s even theorized that Ouko was murdered in one of President Moi’s official residences before his death scene was staged. However, no evidence has ever been found to corroborate the allegations that the Kenyan government was responsible for Ouko’s death, which has yet to be solved. During the 1850s, Thomas C. Hindman moved to Arkansas to pursue a political career and became the state’s most powerful representative of the Democratic Party. He was elected to Congress, but when Arkansas seceded from the Union, Hindman decided to join the Confederate States Army in order to serve in the Civil War. He was eventually promoted to brigadier general, but after the war ended, Hindman chose to flee to Mexico rather than surrender. Years later, after returning to Arkansas, Hindman sought a presidential pardon, which was refused. Nevertheless, he attempted to revive his political career by forming a group called The Young Democracy and became an outspoken opponent of Radical Reconstruction. Hindman was building up surprising political momentum at the time of his death at the age of 40. 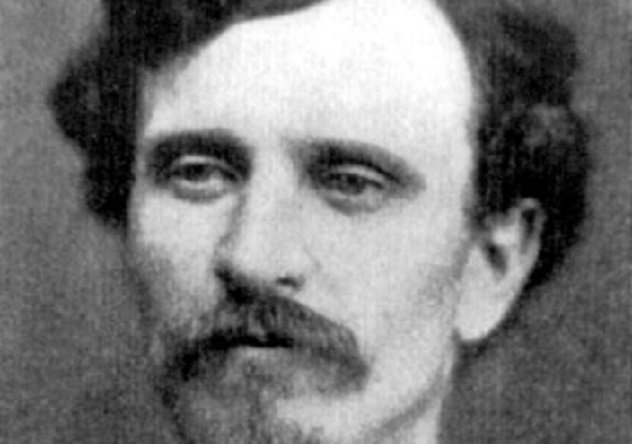 On the evening of September 27, 1868, Hindman was assassinated at his home in Helena. He was reading the newspaper to his children in his parlor when musket shots suddenly pierced through the window and struck Hindman in several places on his body. 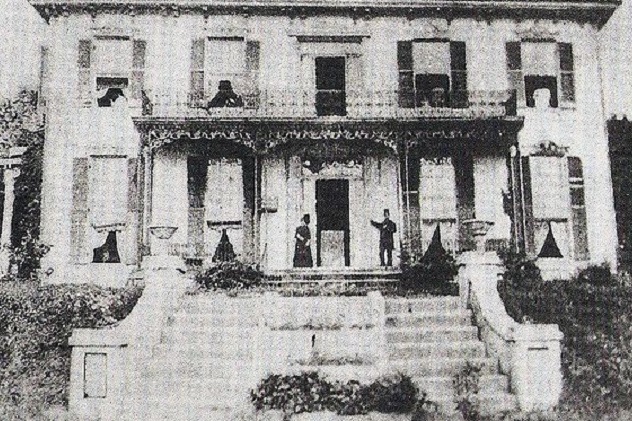 Friends and supporters soon gathered at Hindman’s residence, and even though he was mortally wounded, Hindman still managed to deliver a final farewell speech from his porch, openly forgiving those responsible for shooting him. Hindman remained in his home until he died the following morning. One year later, a prisoner at the Phillips County jail allegedly overheard two black inmates confess to the crime, claiming that Hindman’s murder was revenge for the lynching of a black activist by the Ku Klux Klan that occurred the same day. However, a subsequent investigation could uncover no evidence to support these claims, and the identity of Thomas C. Hindman’s assassin remains unknown. 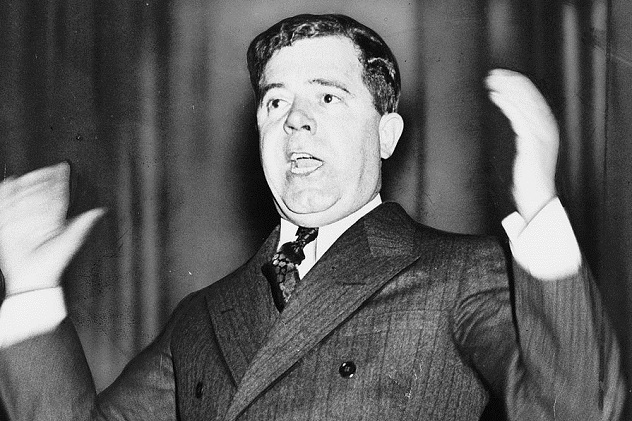 Throughout the 1920s and ’30s, Huey Long was one of the most boisterous and controversial politicians in America. After a term as governor of Louisiana, Long was elected to the Senate, and by the summer of 1935, he had announced his plans to run for president. However, Long’s aspirations came to a sudden halt on the evening of September 8, when he was shot in the abdomen by a physician named Carl Weiss at the Louisiana State Capitol and died in the hospital two days later. Weiss was killed after Long’s bodyguards shot him over 60 times, and it seemed like the case was closed. However, as time went on, a theory began to emerge that Huey Long’s death was nothing more than a tragic accident. Carl Weiss’s father-in-law was a judge and in danger of having his career ruined because of a heated rivalry with Long. According to his family, Weiss went to the State Capitol to plead his father-in-law’s case, but Long kept blowing him off. The family claims that Weiss unleashed his frustration by punching Long in the jaw, prompting the bodyguards to open fire. It’s theorized that one of the bodyguards’ bullets might have hit Long by mistake. Although the .32-caliber pistol owned by Weiss was recovered at the scene, some witnesses claimed he was unarmed when he confronted Long, suggesting that his weapon was planted. At the hospital, a .38-caliber bullet—which wouldn’t have matched Weiss’s weapon but would match those used by Long’s bodyguards—was allegedly removed from Long’s body. Decades later, Weiss’s gun was located inside a safe-deposit box alongside a spent .32-caliber slug presumed to be the bullet that killed Long. However, ballistic tests confirmed that this bullet did not originate from Weiss’s gun. Officially, Carl Weiss is still listed in the history books as Huey Long’s assassin, but there will always be doubt that he was responsible. In 1888, John M. Clayton was the Republican candidate in the race for Arkansas’s 2nd congressional district. He ran against Democratic candidate Clifton R. Breckinridge in what would turn out to be one of the most fraudulent elections in the history of the United States. Clayton was a very popular candidate among black voters, and since Conway County was a predominantly black community, he believed there would have been enough votes in the missing ballot box to secure him the victory. He traveled to the town of Plumerville in order to conduct his own investigation and gather evidence of electoral fraud. In the end, the decision was reversed and Clayton was declared the rightful winner, but he would not be around to enjoy it. On the evening of January 29, 1889, Clayton was staying at a Plumerville boardinghouse when a shotgun blast was fired through the window, killing him instantly. Since the election result was overturned, Clayton’s seat was declared vacant. While there was speculation that Clayton’s opposition might have been responsible for the ballot box theft and his assassination, no evidence was ever found to implicate anybody. 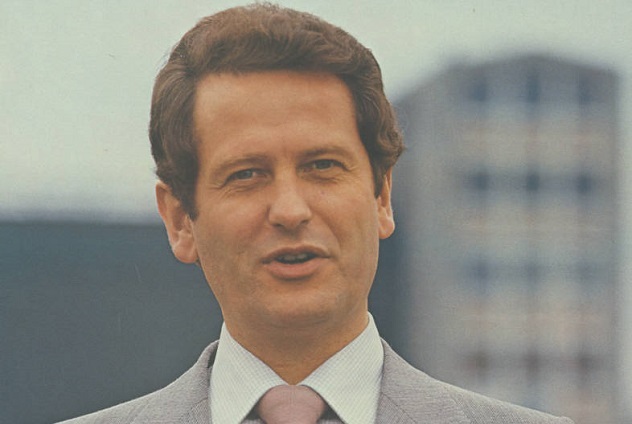 Uwe Barschel was a Christian Democratic Union politician from West Germany who served as premier for the state of Schleswig-Holstein. In 1987, Barschel was up for reelection when he faced scandalous allegations that he had arranged for his opponent’s telephone to be bugged. Even though Barschel won the election, public pressure forced him to resign as premier. Barschel maintained his innocence and took a trip to Geneva, where he was allegedly planning to meet with a man named Roloff to receive information that would help him clear his name. However, on October 11, the 43-year-old Barschel was found dead in the bathtub of his room at the Beau Rivage Hotel. He had presumably taken his own life. However, there were bizarre aspects of Barschel’s death which led many to believe he did not commit suicide. Barschel was found fully clothed inside the bathtub, which was filled with water. He tested positive for some drugs, but a medical expert concluded they were likely put in his stomach after death. Over the years, a conspiracy theory began to emerge that Barschel was murdered for having too much knowledge about an arms deal between Israel and Iran. An informant claimed that shortly before his death, Barschel had a meeting with Ayatollah Khomeini’s son, Ahmed Khomeini, to discuss the delivery of weapons. Indeed, intercepted cables confirmed that Khomeini did have a meeting at that time with a West German named “Perch,” who may very well have been Barschel using a codename. In recent years, the investigation into Barschel’s death has been reopened and may eventually determine whether he was the victim of an assassination plot. As everyone knows, President Abraham Lincoln was assassinated while attending Ford’s Theatre on the evening of April 14, 1865. 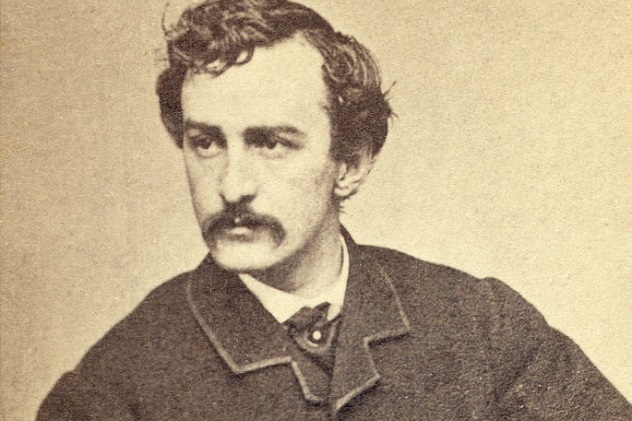 The identity of Lincoln’s assassin is no mystery: Famous stage actor John Wilkes Booth fired the fatal shot into Lincoln’s head before fleeing the scene. Twelve days later, Booth was discovered hiding inside a barn at Garrett Farm near Port Royal, Virginia. The barn was surrounded by Union soldiers who decided to light the structure on fire to smoke Booth out, but an overzealous sergeant shot him before he could surrender. That is the official story of John Wilkes Booth’s death, but a popular conspiracy theory alleges that Booth not only survived the incident at Garrett Farm but went on to live a long life. The man killed in the barn was one of Booth’s co-conspirators, the theory claims, but he was found in possession of personal papers Booth had dropped, resulting in his mistaken identity. In 1877, a dying man at a Texas boardinghouse named John St. Helen reportedly confessed that he was John Wilkes Booth. The man said Lincoln’s assassination was a conspiracy orchestrated by Vice President Andrew Johnson, who helped engineer Booth’s escape. Following his confession, St. Helen unexpectedly recovered and soon left town, but he committed suicide in 1903 while living under the name David E. George in Enid, Oklahoma. A comparison between photographs of Booth and St. Helen does showcase a remarkable resemblance between the two men, and some historians believe his tale. Unfortunately, all attempts to use DNA testing to solve this mystery have fallen through.